A leading campaigner against wind turbines has warned the proposed Central Lincolnshire Local Plan is “sloppy” and leaves the area “vulnerable” with a “serious” lack of protection for the landscape and environment. David Lee - who is also a Bishop Norton parish councillor and former chairman of the council - has spoken out against the Local Plan, describing it as lacking “any kind of rigour in terms of guidance to planning”. Coun Lee told the Rasen Mail: “It’s not robust enough as a planning document to have for planners to judge applications. “At the moment the West Lindsey District Council local plan does protect that. “It’s absolutely clear on what needs to be protected and gives planning officers clear guidance on what’s acceptable and what’s not. “This new plan doesn’t do any of that. It lacks any kind of rigour in terms of guidance to planning. And Coun Lee raised a particular concern about the skyline of the Cliff, where a planning application for 10 126.5-metre turbines was recently rejected. He said: “There’s nothing that protects the skyline of the Cliff. “It’s just as important as the Lincolnshire Wolds (which does have some protections). “There doesn’t appear to be any recognition of it at all. “There needs to be something in. “At the moment it doesn’t give us any protection whatsoever. “That’s the most serious weakness on the document. “It’s going to be in existence for a long, long time. “We could end up with all kinds of things that we couldn’t even imagine, in the future. The Local Plan, which lasts until 2036, aims to co-ordinate where, when, how and to what extent growth takes place across the centre of Lincolnshire, including West Lindsey. 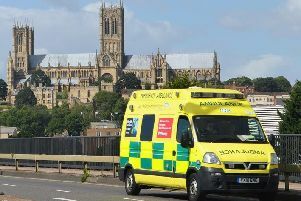 It was developed by the Central Lincolnshire Joint Strategic Planning Committee (CLJSPC). CLJSPC chairman, and WLDC leader, Coun Jeff Summers said: “We will be scrutinising his comments and comments made by people across the whole area. “And we will make adjustments to the plan where appropriate. Coun Summers said he has forwarded an email from Coun Lee on to WLDC officers. The Local Plan says Caistor and Market Rasen will be the focus for ‘significant but proportionate’ growth in housing, employment, retail and wider service provision. This includes a proposal for 585 new homes in Market Rasen and 563 in Caistor.